The Marvel Netflix series bloat has reached epidemic proportions with "Marvel's Iron Fist," the first true disaster in this successful television universe. While they have had their qualities, every Marvel series on Netflix to date ("Daredevil," "Jessica Jones," "Luke Cage") has suffered to varying degrees from a bizarre malady in which the writers take 10 episodes to tell a story that they could really tell in two or three. This dynamic reaches almost laughable proportions here, as every hour-long episode of "Iron First" is filled with so much repetitive dialogue that one starts to think they only wrote a couple of scripts and then asked the cast to vamp. Compensating for this bloat in previous series was some pretty excellent fight choreography and use of setting (“Daredevil,” at least in season one), commentary on gender inequality and the power of the patriarchy (“Jessica Jones”), and an examination of racial divides and cultural differences (“Luke Cage”). “Iron Fist” has none of the above. It’s Netflix’s biggest misstep to date, and I’m most curious to see how they recover from it. Finn Jones plays Danny Rand, who isn’t really called Iron Fist; I think he has the power of the Iron Fist, but I barely know or care. More importantly, the world thinks that Danny Rand died years ago in a plane crash that also took his parents. He returns to “his building” in New York City to find out that his billionaire father’s partner Harold Meachum (David Wenham) is also dead, and that Meachum’s children Joy (Jessica Stroup) and Ward (Tom Pelphrey) are running the company. They look at the barefoot and dirty Rand and see a con man, someone they presume was hired by a rival company to take them down. And so they do everything to stop Danny from even trying to prove his identity—including locking him away in a mental hospital. Over the course of the first few episodes, Danny’s background is filled in. We learn that he survived the plane crash, and was raised in a place called K’un-Lun, where he was taught kung fu mastery and Zen enlightenment. And I don’t mean the kind of kung fu mastery that you see in a strip mall dojo. I mean the kind of kung fu mastery that can transcend time and space and allow a man to punch through a wall with his iron fist. He is merely back in New York trying to reunite with his childhood friends and he-now-hopes colleagues, but Joy and Ward are first aghast, then skeptical, then homicidal. Yes, “Iron Fist” is about a man combatting angry billionaires who were born with silver spoons in their mouth. What’s remarkable about “Iron Fist” is just how much is missing from it. There’s no visual language whatsoever, no sense of setting, no characters about whom you care (other than a little with Henwick’s Wing), no social message, zero sense of humor and no atmosphere. "Iron Fist" is as creatively flat as a Jessica Alba “Fantastic Four” in how much it feels like a product, but even those movies have B-grade elements that offer some sort of escapism. Even that is missing here. And the issues of cultural malfeasance need to be addressed in how this show uses Asian cultures. It doesn’t feel incorporated into character or organic, too often coming across like, “Isn’t kung fu cool and shouldn’t we go to a Chinatown parade and do you want to hear a piece of advice that sounds like it came out of a fortune cookie?” It’s an afterthought, window dressing instead of actual cultural relevance. 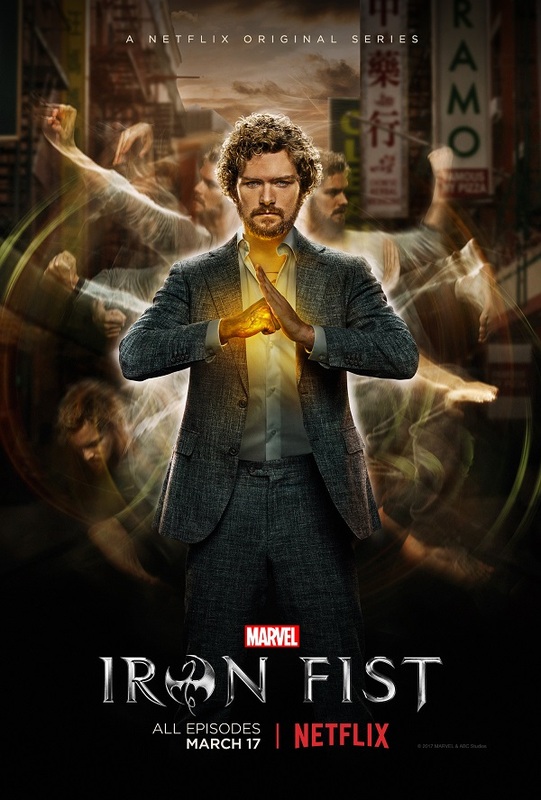 Netflix will quickly move on to their next series (a new one probably debuted while you read this), but “Iron Fist” is the kind of program that was surely designed for multiple seasons and as a bridge from the other three shows to “The Defenders,” the biggest event in Marvel TV history and which is now currently filming. ("Iron Fist" is the final act of a four-act introduction). Marvel fans and Netflix loyalists are unlikely to turn away from “The Defenders” in any notable numbers, but after 13 episodes of this weak venture they'll certainly approach it with a more skeptically raised eyebrow.